Today (26/5/12) marked Detective Sargeant Bargearse‘s 84th birthday. It was the great, late actor Leo “Lucky” Grills who played Detective Sargeant ‘Bluey’ Hills in the Channel 7 drama production Bluey from 1976 to 1977. Bluey wasn’t your typical detective. What made him unique was that he drank, ate, smoked and did all the sleazy stuff – which made the character the perfect piss-take for The Late Show. Years ago, Tony Martin had released Bargearse on VHS, and fought long and hard to get the DVD release in 2007 (along with The Olden Days). Two days before the release, Lucky Grills passed away in his sleep in Queensland, aged 79. 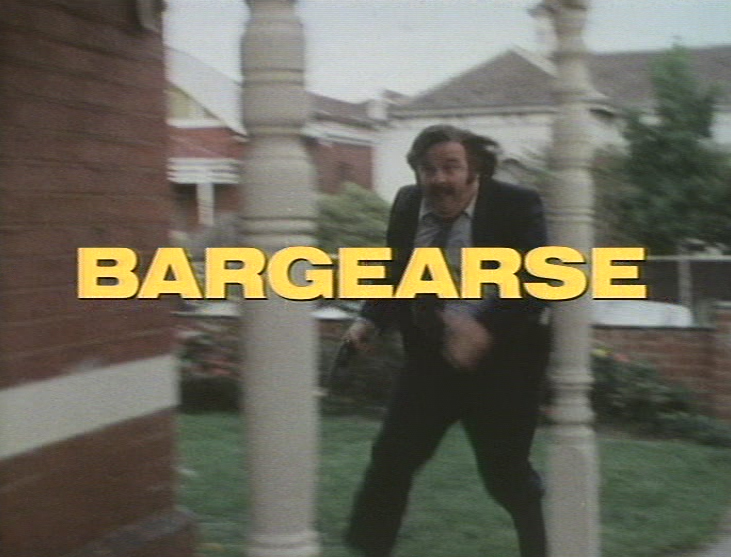 To celebrate Lucky’s 84th birthday (and 5 years since the DVD release), we hit the Twittersphere and invited Bargearse fans to watch their DVD or VHS copy at 6pm AEST, and quote the show using the hashtag #Bargearse as much as possible. 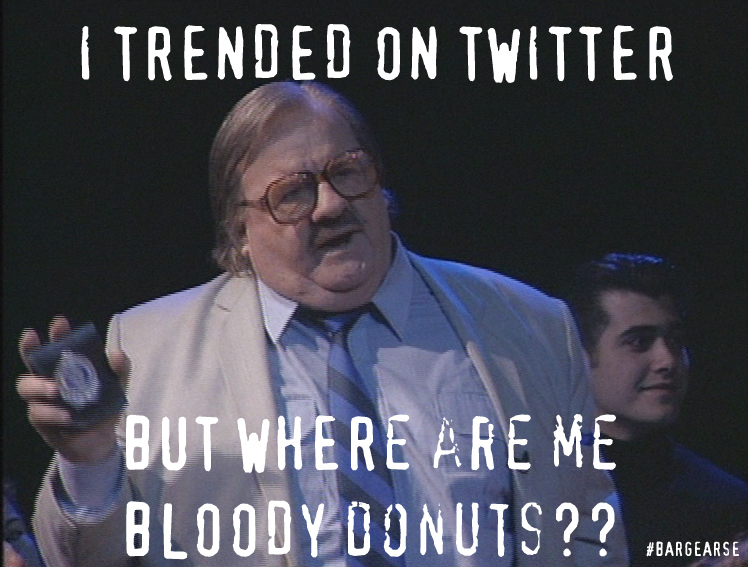 Number One on the Australian Twitter Trends. That’s an epic thing to happen. Especially when it isn’t Bieber or 1 Direction related. Facing stiff competition against Eurovision on SBS and the footy, it’s fantastic to see that Bargearse still has a warm dutch oven ready in everyone. The trend lasted on and off for about 2 hours, but for what it was worth, lots of laughter and memories were had. If you still don’t have a copy of Bargearse & The Olden Days on DVD, you can purchase at any quality DVD store. It’s worth your 8 & 1/2 cents a day.